Hello! I wanted to know if it was possible to see this dress in the color burgundy please. I am preparing for my wedding and wishes for everything to go as planned. Hi I wanna know what size would I order if my bust is a 39 my waist is 32 and hips are a 41 and I'm like 5'6 5'7 height? I’m so in love with my dress. It’s so beautiful and well made. I know I’m going to be comfortable all night wearing it. It looks much different on my body than the models, but I couldn’t be more happy. Customer service was amazing. I was so nervous ordering online. I was provided guidance and reassurance with quick response. Highly recommend. What color is the one pictured? 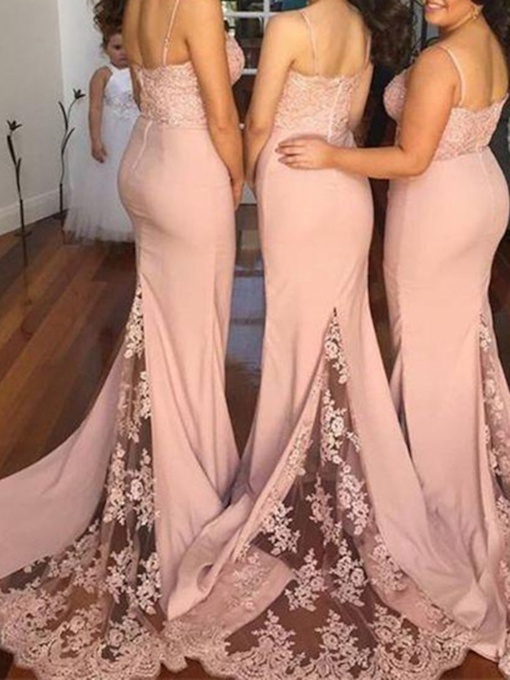 Sorry does the dress come in peach ? What color is this dress in the picture? Hello! What's the closest color to guava and teal on the color chart because I do not see those colors and would like to order this dress. Very happy with this dress! !